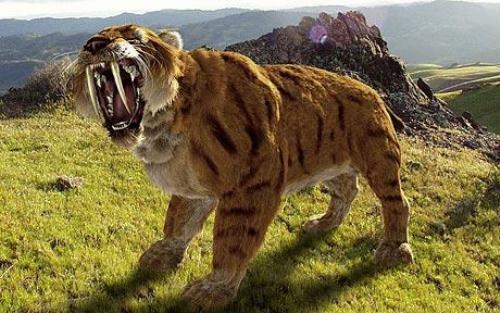 Some people are wrong if they think that saber tooth tiger is a real tiger. You need to know that the modern tiger are included in the Panthera Tigris subspecies, while saber tooth tiger is included in Smilodon. Saber tooth tiger is not the only saber tooth cats in the world. There are many other powerful breeds such as Megantereon, Homtoherium, and Barbourofelis. The prey of saber tooth tiger includes the herbivorous mammals, prehistoric horses, Giant Sloth and smaller animals. It was not possible for the saber tooth tiger to catch prey on the powerful and big animals like Woolly mammoth. They will search for the smaller and slower animals to catch. These animals lived in a prehistoric era. The scientists estimate that the animals went extinct for about 10,000 years ago. The possibility occurs because of the climate changes that make them extinct as well as the low number of prey to serve the animals. The animal living today is seen at Girrafe facts. 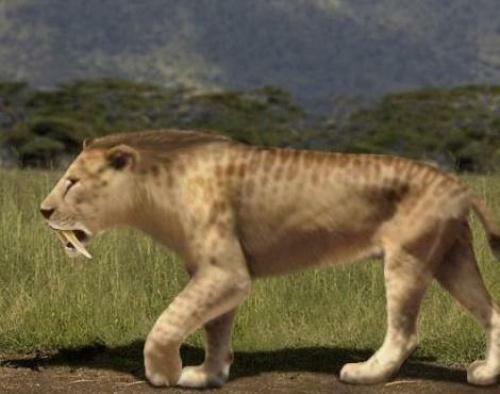 There were three species of saber tooth tiger. Those are the North American Smilodon, Smilodon gracilis, and South American Smilodon. 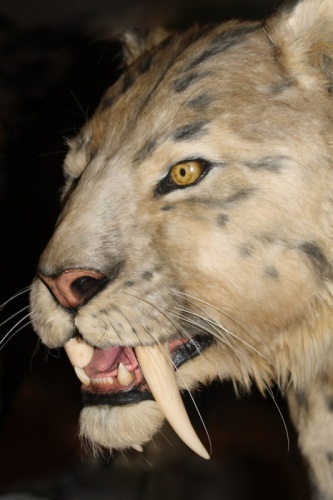 The smallest member of Smilodon family is Smilodon gracilis. It has the weight around 150 pounds. North American Smilodon fatalis has the medium weight. It is bigger if you compare it with Smilodon gracilis. Get more info about the fying bird in barn owls facts. 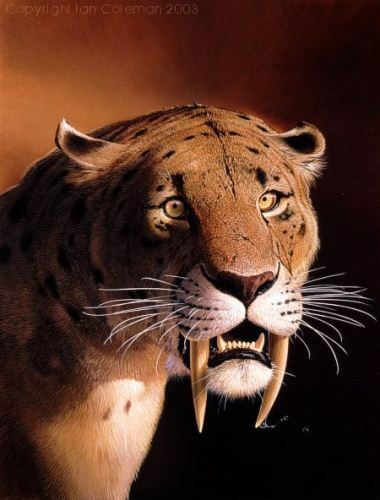 South American Smilodon populator is the biggest saber tooth tiger because the male animal can reach the weight around a half a ton. What makes this animal is so well known and interesting is the canine. It can go up to 12 inches. 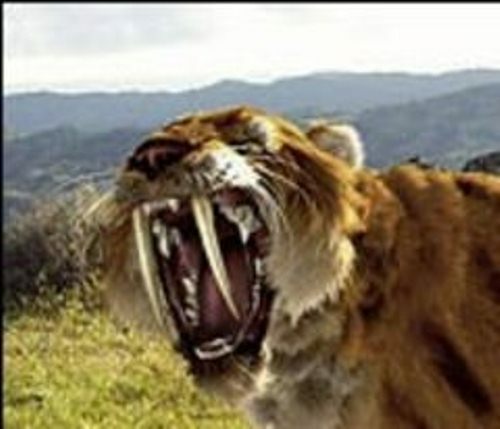 Even though saber tooth tiger is powerful, their teeth are easily broken and brittle. They have to protect the canines from any breakage. Their jaws are totally weak. Protection is needed to make sure that they can survive. Many scientists believe that saber tooth tiger live in groups. Their evidence is seen with many fossils discovered on pack. Even though the animals have weak jaws, they have a wonderful style to hunt. Do you have any opinion on facts about saber tooth tiger?